Eliminating the US EXIM at times like these would be irresponsible unilateral disarmament damaging to US Exports, American jobs and our leadership position in international trade. 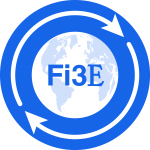 There is still time to call your Congressional Representatives and urge them bring reauthorization of the US EXIM bank to a vote, BEFORE its charter expires in June 30th. Congressional path to re-chartering U.S. EXIM: Mismanagement, or Crime? DON’T DELAY. CALL YOUR CONGRESSMAN TODAY! My Dad, JFK, Was for Free Trade. Democrats Today Should Be Too. Serving as the U.S. ambassador to Japan has given me a chance to experience first-hand how our country is perceived in Asia. It has been a deeply moving experience to see how much the American dream still matters from 7,000 miles away. The people of this region are eager for American involvement of all kinds—they cherish the free expression that we sometimes take for granted, their workers are seeking the kinds of hard-won protections the U.S. labor movement has gained, entrepreneurs are eager to innovate and young people are desperate to connect with us on a free and open internet that protects intellectual property and cybersecurity. With assistance from the United States, Japan and other nations, developing countries throughout Asia are working to educate girls and young women and to protect their environments so future generations can reduce the risk of natural disasters and live sustainably. This is a dynamic region that, right now, is at peace. It is also growing, presenting enormous economic opportunities for Americans. With a continued focus on President Barack Obama’s “rebalance to Asia,” we can keep it that way for generations to come. A vitally important part of that strategy is the Trans Pacific Partnership. This ambitious, 12-nation trade agreement, now in the final stages of negotiation, has the potential to knit the United States and our allies into the world’s strongest, most prosperous partnership. The debate raged again when NAFTA was brought forward 20 years ago. Critics argued that it would kill jobs, lower wages, and erode the middle class. In fact, NAFTA has helped create jobs—and higher-paying export-related jobs—but it has also added to pressures for change in the U.S. economy, according to the Council on Foreign Relations. The trade agreements the United States is negotiating today give us the opportunity to shape how globalization affects our economy and its impact on our trading partners. Throughout more than 45 years in the U.S. Senate, there was no greater champion of American workers than my uncle, Senator Edward Kennedy. He shared the concern of those fearing the effects of globalization, and fought hard to mitigate them. Yet like my father, Uncle Teddy always looked to the future. After an impassioned speech on the Senate floor outlining his concerns about NAFTA, he supported his President and voted for the agreement. That is precisely what President Obama has committed to do through TPP. Simply put, it is the most progressive trade deal in history. It will require high standards in digital trade, environmental protections, worker’s rights and other critical areas. It will lower barriers to U.S. goods and services in the world’s fastest growing markets, providing new access to long-protected agricultural markets, such as Japan, for American farmers and ranchers. TPP will also level the playing field for American firms and workers. It will give businesses competing with state-owned enterprises a fair shot and protect the 40 million Americans whose jobs are dependent on innovation. By increasing our exports, TPP will support more jobs that pay higher wages here at home. In addition to the limitless economic possibilities, TPP also carries significant strategic benefits. Countries in the region are looking to the U.S. to help maintain the freedom of navigation, commerce and trade that have made the Asian miracle possible. They are eager to expand our alliances and strengthen our security partnerships. 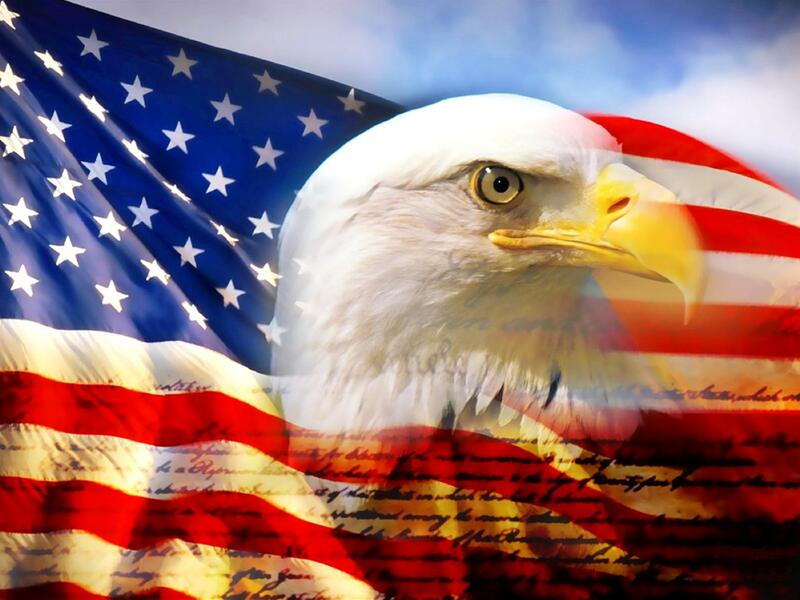 Young generations are looking to the United States for stability, opportunity and hope. To realize the economic and strategic benefits of TPP, Congress needs to pass Trade Promotion Authority. That’s how Congress has worked with American presidents of both parties for decades. Caroline Kennedy is the U.S. ambassador to Japan. “Trade Bank Likely to Live – Only After it Lapses” read the headline in yesterday’s edition of the Wall Street Journal (see full reprint of the article, below). It was a subtle and interesting summary of the irresponsible, politically charged fight in both U.S. Senate and the House of Representatives, with respect to reauthorization of the Export Import Bank of the United States. As someone who over the last 15 years has been intimately involved with Government backed Export and Project financing programs, and whose company works with the US EXIM and other export credit agencies (ECA’s) on the daily basis, I have been very closely following the process and listened to hours of Congressional hearings on the subject. “Trade Bank Likely to Live – Only After it Lapses” read the headline in Friday’s edition of the Wall Street Journal (see full reprint of the article, below). It was a subtle and interesting summary of the irresponsible, politically charged fight in both U.S. Senate and the House of Representatives, with respect to reauthorization of the Export Import Bank of the United States. Frankly, the hearings scared me, as they clearly demonstrated to what extent our nation’s lawmakers will advance their political agendas and in the process be willing to inflict damage on ordinary Americans, often even on their own constituents. On the other side of the isle, the vial Con set spoke in half truths, took a number of things out of context and spewed venom. Their ammunition consisted of absolutely flawed risk assessment arguments; insular and inward, rather than global view of the export credit agency’s roles in the global marketplace; flawed arguments on picking winners and losers; and bank’s role in financing only between 1 and 2% of the US exports. The latter argument trying to drive home a point that the bank is insignificant to begin with and thus something our country could live without. The Cons presented expert testimony from some seriously dubious sources. I wonder how much experience, a well educated economist and a respected researcher has in exports and international business, when his top job was as the administrator of the NY Census Bureau? Then you had some Senators trying to ascertain preposterous concept of the damage, which has been caused to US Economy, when EXIM financed US exports to foreign buyers, while competing against other countries’ ECA offerings. Although the bank’s Chairman several times pointed out the fact that when US companies compete abroad, if their potential exports will not be financed by the US EXIM, the goods and services needed, will be purchased in other countries and will be financed by ECAs of those countries, thus causing double damage to the US economy. Yet, despite hours of hearings, certain crucial information was completely overlooked. The very fact that US must have a stong ECA, since certain major public and private international projects involve non-payment risk for all American suppliers, and that such risk could only be mitigated by the US government and its potent economic, diplomatic, military and geopolitical levers, seemed completely lost on all involved. EXIM proponents also deployed a bit of their own sleight of hand. The fact that US banks are not allowed to insure foreign receivables thus handicapping US exporters was discussed ad naseum, but no mentioned was made of the fact that an entire private insurance industry exists to take up a lot of slack in this segment. A distinguished Senator from NJ practically perjured himself when he told the world a story of a NJ firm, which has no options financing a $300 million Ukrainian contract and would lose that business without EXIM. What he failed to mention was that EXIM stopped financing projects in Ukraine over a year ago and thus, even if reauthorized, would not consider financing this firm until the bank returns to financing projects in that country. True EXIM would have been an excellent option, but the contract has been signed, NJ firm has begun to export and another financing arrangement, with another US government agency, is now being put in place. And so on these hearings went for hours and hours of spending taxpayers’ funds and valuable management and adinistrative resources. Yet, at no time the esteemed members of Congress undertook to examine the damage they themselves were causing to the US economy by dragging what should be a routine reauthorization process through the mud, wasting taxpayers’ time and money and distracting the Bank’s Chairman and others at the bank from focusing on their jobs. This reauthorization “process” also allows foreign competing ECAs gain competitive ground and creates costlu uncertainly among exporters, foreign buyers and bankers. The Conservative Republicans are sabotaging the process just simply because they can and are letting their partisan political agenda, personal feelings about the Bank’s leadership and lack of true understanding of the real world situation wreck havoc with the lives of ordinary Americans. Yet now, when there finally seem to be enough votes to reauthorize the EXIM bank, the Congress is considering letting the bank’s charter lapse for technical reasons, In the private sector world this type of irresponsible behaviour would border on criminal. At no time, our nation’s lawmakers considered what needs to be done to really reform this American Export Credit ​Agency to better serve the US manufacturers and exporters. All that was discussed were the recommendations of the compliance oversight bodies on the incremental reforms of the existing Agency. A Senator for Massachusetts tried to use a stick approach to bracket the bank into asinine compliance measures of requiring 25% of Banks reauthorizations to come from small business. A noble goal, which breaks down when trying to add up all $100K – $1mil small business transactions as percentage against financing $150 mil satellite, a $250 mil aircraft, or a $10 billion power plant. Today, small business transactions by number account for something like 80% of the Bank’s total. To continue to force a 25% increase by volume is short sighted and politically charged. I have written about the US EXIM for years and will be the first to suggest that the Agency could use substantial reform and improvement (Heck, the entire US Government could be made smaller, more streamlined and could use reform and improvement). The US EXIM is by far the one of the more siloed and insular of all the US Trade and Development agencies, which I have dealt with. On one hand it is largely unknown by the US exporter community, but on the other hand is is very small and overburdened, as it is demand driven and has no way to adjust its personnel to handle peak demand. Civil Service protections, as wonderful ad they are, (two of my immediate family members work for the USG, including one for the Bank), sometimes work negatively and do not allow to effectively fire weak performers, Of the 450 employes at EXIM, probably about 20% need to be pruned and replaced. If Congress really wanted to help US Exporters, rather than annihilate a perfectly good Agency in a politically charge bombardement, it would have conducted a series of round table discussions calling for constructive reform at the bank. Such discussions would involve all stakeholders who actually know exports and understand international business, rather than ivory tower theorists. At the time when our nation is saddled with the largest debt and budget deficit in history, when we have problems with Iran, ISIS, Ukraine, Syria, health care, unemployment, falling exports, global warming and the list goes on and on. When we need congressional leadership and votes on really important legislature such as TPP, repeal of Obamacare etc., our lawmakers find all the time in the world to debate the need to reauthorize a tiny 80-year old SELF SUSTAINING US Government agency. They conveniently ignored the facts that EXIM sent $7 billion dollars back to the Treasury in the last decade to help reduce our dreaded budget deficit and that it is part of a global export ecosystem of about 80 such agencies world wide and closing it would be tantamount to unilateral disarmament of our export sector. Whether we like it or not, international trade (certainly exports) will always be an issue deeply influenced and affected by our national foreign policy. To make an argument that markets must take care of themselves (and I am among the biggest proponents of a free market theory) in case of international trade is preposterous. Thus our government’s trade and development agencies, including US EXIM, are a vital part of our nation’s global economic tool set. EXIM’s mission has been to support US job creation by helping American companies compete globally and expand their exports, while mitigating risk. The bank has been true to its mission and should be reauthorized before expiration of its charter at teh end of June, while the lawmakers who irresponsibly stood in the way of the reauthorization process should at the very least be severly censured and certainly voted out of office at the next possible opportunity. 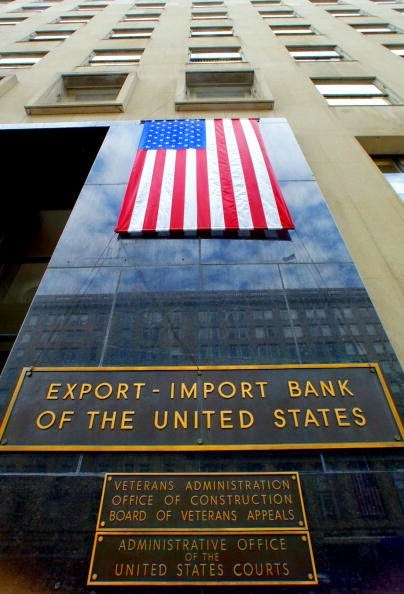 WASHINGTON—Supporters of the Export-Import Bank say they are poised to beat back a drive to kill the institution, but the victory may come only after a June 30 expiration of the bank’s charter causes a lapse in the bank’s ability to underwrite new loans. For now, the legislative calendar looms as the largest obstacle for supporters of the agency, which provides financing for U.S. exports. Senate Majority Leader Mitch McConnell (R., Ky.) promised Senate Democrats last month to hold a vote on the bank in June. But with no other major legislative deadlines before July, bank supporters are struggling to find a must-pass bill on which to attach a reauthorization, a move that would help garner approval in both chambers. Lawmakers and lobbyists said a measure to extend funding for highways, needed by late July, may be the best bill to carry an extension of the bank. Backers believe they have enough votes to pass a reauthorization in both chambers. Until recently, the biggest question has been whether House Speaker John Boehner (R., Ohio) would bring a bill to the House floor amid GOP resistance. Mr. Boehner recently said that if the Senate passes legislation extending the bank’s operations, the House would consider it under a process that allows critics to try to overhaul or extinguish the agency through amendments. “Whether it is 14 days or 14 weeks or 14 months, this institution will be reauthorized,” said Rep. Frank Lucas (R., Okla.) one of nearly 60 House Republicans that supports a bill to reauthorize the bank. 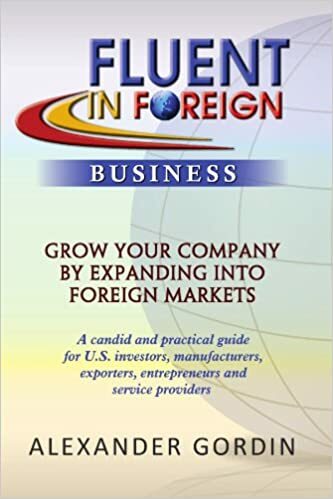 Created in 1934, the bank provides financing for American companies to sell exports overseas through a wide range of programs, including guaranteeing loans to foreign buyers and providing credit insurance. It provided $20.5 billion in credit assistance to support an estimated $27.5 billion in exports for the year ended last October, and sent $675 million to the U.S. Treasury that it earned from interest and fees. A large share of its guarantees go to corporate titans like Boeing Co. and General Electric Co. because it backs big-ticket exports of aircraft and industrial equipment. If the bank’s charter does expire, it would honor existing guarantees but it wouldn’t be able to underwrite new loans or renew other financial tools aiding exporters. Already, the threat of a shutdown has led to fewer applications for certain guarantees, said Fred Hochberg, the bank’s chairman. Republican divisions over the agency are likely to put Mr. Boehner in an uncomfortable but familiar position: Having to pick between upsetting conservative lawmakers who already distrust him or the business establishment that has long supported him and other GOP lawmakers. With the two other top House Republicans—Majority Leader Kevin McCarthy and Majority Whip Steve Scalise—opposed to reauthorizing the bank, “if it comes to the floor, it’s going to be because Mr. Boehner wants it to come to the floor,” said Rep. Mick Mulvaney (R., S.C.), a bank opponent. Conservatives, led by Financial Services Committee Chairman Jeb Hensarling (R., Texas), are pushing for expiration of the bank, which they believe interferes in the market and creates taxpayer risk. Mr. Hensarling hasn’t attempted to pass legislation winding down the bank out of his committee because the bank’s charter will expire on its own, but that has left GOP leaders without their own bill to bring to the House floor. Mr. Hensarling said Wednesday that he recognized that Republicans were divided on the issue, and that he hadn’t yet decided how to move forward. “I do understand that one person’s corporate welfare and politically driven capital allocation is another person’s vital export support program and level playing field,” he said. Many lawmakers expect a bill reauthorizing the Ex-Im Bank would pass, if brought up in the House, where nearly all 188 Democrats support it. Close to 60 Republicans back a bill from Rep. Stephen Fincher (R., Tenn.) that would reauthorize its charter with some minor changes. The bank’s critics have been optimistic because they prevail if “we get Congress to do what they’ve been so good at in the past—absolutely nothing,” said Brent Gardner,government affairs director for Americans for Prosperity, a conservative group backed by industrialists Charles and David Koch. Business groups have ratcheted up their lobbying in recent days to secure a long-term extension, particularly in the Senate, where supporters hope a lopsided vote for the bank would ease its path in the House. “The votes are there. At least let us have our vote,” saidDanny Roderick, chief executive of Westinghouse Electric Co., who met with lawmakers on Tuesday. Some firms have said that, while they could manage a short-term lapse, the brinkmanship and any failure to provide a long-term reauthorization is damaging the bank’s credibility in foreign countries when U.S. manufacturers compete against Chinese, South Korean or European firms that offer their own export-credit backing. 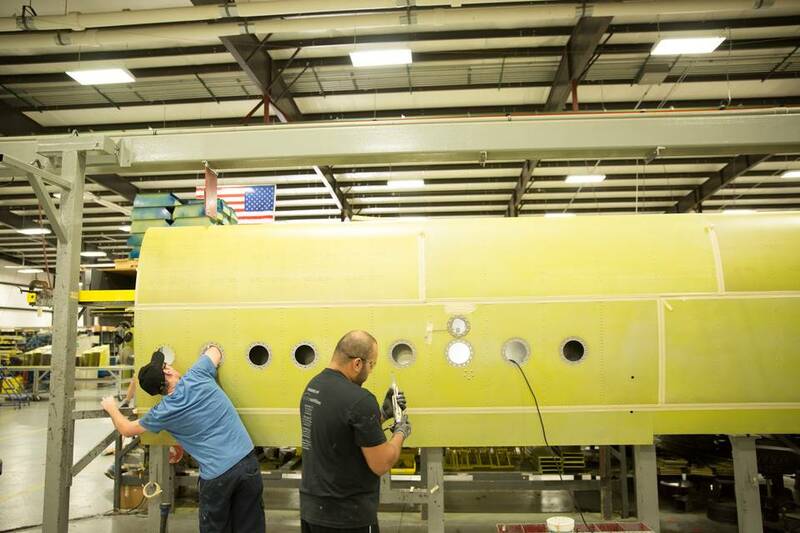 “These are 10-year, 15-year projects that we work on, and we can’t even decide month to month whether we’re going to have the Export-Import Bank,” said Mr. Roderick. Some conservatives, meanwhile, are trying to pressure Mr. Boehner to pledge not to bring Ex-Im reauthorization up for a floor vote in exchange for conservatives’ support of upcoming trade legislation. House Ways and Means Committee Chairman Paul Ryan (R., Wis.) said Thursday that the fight over the bank would not be tied to the trade bill. “It’s just not going to happen,” said Mr. Ryan, who supports the bank’s expiration. He also said he anticipated that the charter will expire as scheduled on June 30.